The game show essential viewing back in the 1970s and 80s, and with no internet or hundreds of TV channels to browse through, the lack of entertainment on offer meant families would often sit down together to watch them. Trying to get the family to do anything together these days is nigh on impossible, especially in this new age of social media. Even if you do manage it, chances are that your kids or grandkids will be gazing at their smartphone, rather than at the TV screen. 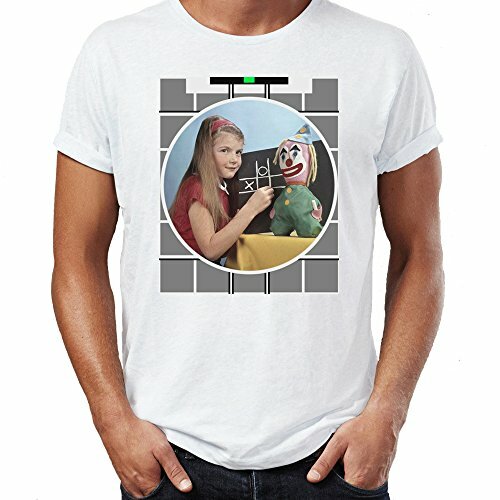 It's highly unlikely that this golden era of TV game shows will ever return (some would argue that's a good thing) so be thankful that you experienced something very unique indeed. 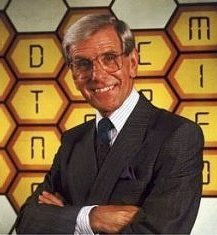 Who remembers arriving home from a long day at school or work, and then settling down with a refreshing cup of tea to watch Blockbusters on ITV at tea-time with Bob Holness? The theme music clip brings back such fond memories for me, and hopefully you, too. 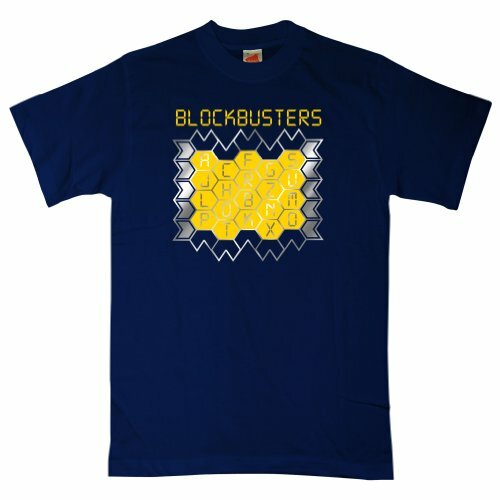 The original Blockbusters ran from 29 August 1983 to 4 June 1993. The clip in the above playlist features the intro theme tune from the 80s. For some reason the tune also featured in the 2014 adverts for Jaffa Cakes. 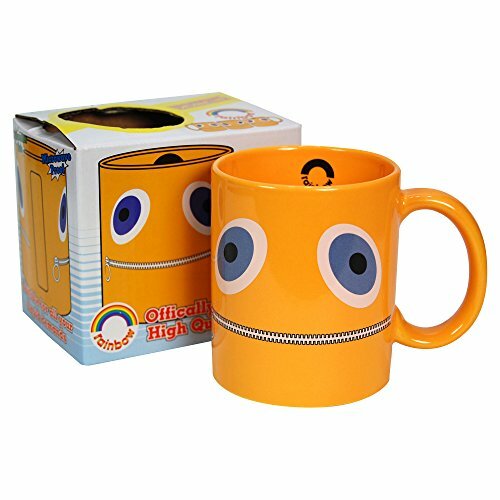 "I'll have a P please, Bob"
Simplyeighties.com is a participant in the Amazon Associates and Redbubble Affiliate programs which allow trusted websites to earn fees by linking to products on their websites. This charades-based panel show ran from 1979 until 1992 on ITV. The team leaders were Lionel Blair (boys) and Una Stubbs (girls), although Liza Goddard replaced Una Stubbs in later series'. Between 1979 and 1983 the show was hosted by Michael Aspel, who was replaced by Michael Parkinson in 1984. 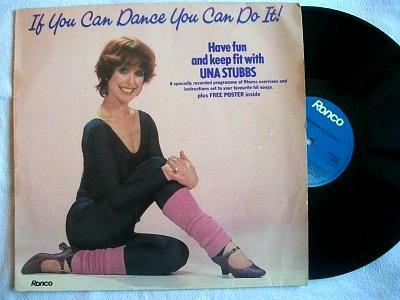 Did you have fun and keep fit with Una Stubbs? Fitness and fun don't go together for me! The 19 track vinyl LP "If You Can Dance You Can Do It!" was released in 1982. 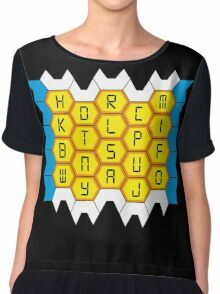 Hmm, another nice photo for my 80s fashion board on Pinterest! The fabulous clip starts with the dodgy Anglian Television ident, followed by a few minutes of the Sale of the Century quiz show featuring Nicholas Parsons as the host. The show ran from 1972 until 1983 and this episode was shown on 20th May 1983. 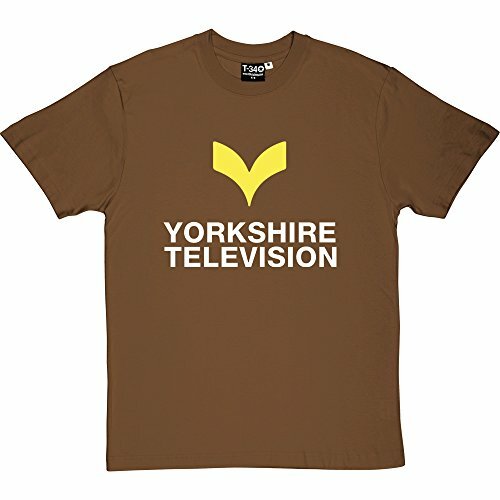 The programme was always a ratings winner, and reached viewing figures of around 20 million at its peak. Of course, with only three TV channels, such figures were far easier to achieve than they are today. On Dec 22nd 1978, 21.2 million viewers tuned in to watch the show due to a strike at the BBC. This remains the highest ever viewing figure for an ITV game show. Bob's Full House was an 80s TV game show featuring the late, great comedian Bob Monkhouse as the host. The game was kind of based on bingo if I remember correctly, and the show would begin with a lengthy and topical stand-up comedy routine from Bob Monkhouse in his legendary slick style. The Adventure Game, 24 May 1980 hosted by Newsreader Moira Stuart with Elizabeth Estensen, Fred Harris and Mark Dugdale . This very British and very eighties game show was aimed at children, but it had a cult adult following. It was originally broadcast on BBC1 and BBC2 between 24 May 1980 and 18 February 1986. The theme for each show was that the two celebrity contestants and a member of the public had travelled by space ship to the planet Arg. I was almost a teenager when this show started and I probably watched every episode! Before Scrapheap Challenge came along we had this smaller scale challenge show with a similar concept - the competitors were challenged to create a mechanical device to solve a problem. The initial challenge of the programme was to actually create a machine to transport an egg as far as possible without breaking it, which is why the series was called The Great Egg race. Series one (in 1979) featured Brian Cant as the main presenter. 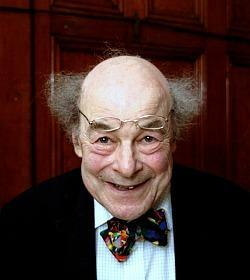 In 1980 Professor Heinz Wolff took over the role and former Blue Peter presenter Lesley Judd joined the programme in 1984. Lesley Judd joined the Blue Peter team in 1971 and presented the show until 1979. Left to right; Peter Purves, Lesley Judd, Valerie Singleton, John Noakes and Shep.